Well, TA-DA. I got you covered.. it’s a fabulous V-day breakfast! These vibrant colors and tastiness-es will say L-O-V-E like no chocolate can. Well wait, I disagree with that entirely. No one can debate chocolate, it’s just out of the question. Didn’t mean to take that rabbit trail, stay with me.. These trails also revealed hidden bountiful raspberry and blackberry bushes! Indiana soil has magical powers, I’m convinced. But as you can imagine, I’m not growing anything in New York City, lest finding wild berry bushes at Central Park. Bummer. Nonetheless, I got fresh berries from the market, and reduced them on the stove with honey and lemon juice, creating a fantastic zesty berry compote. 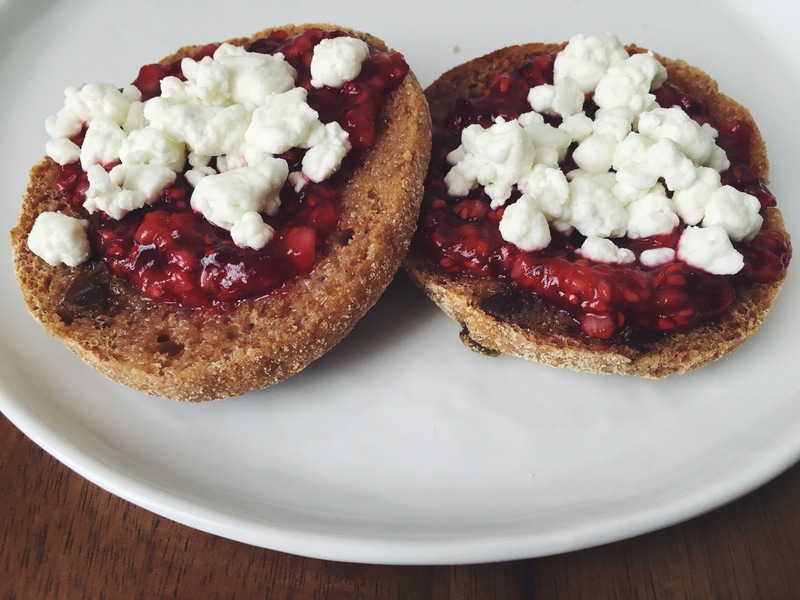 A morning English Muffin will never be the same, now that we’ve come to this. But what made the toast superb, you ask? Oh, just glorious cheese of the goats. Lets just take a moment of silence to mourn for those who dislike goat cheese. Low-medium heat. Cook for 5 min, occasionally stirring or mashing, to preferable consistency. 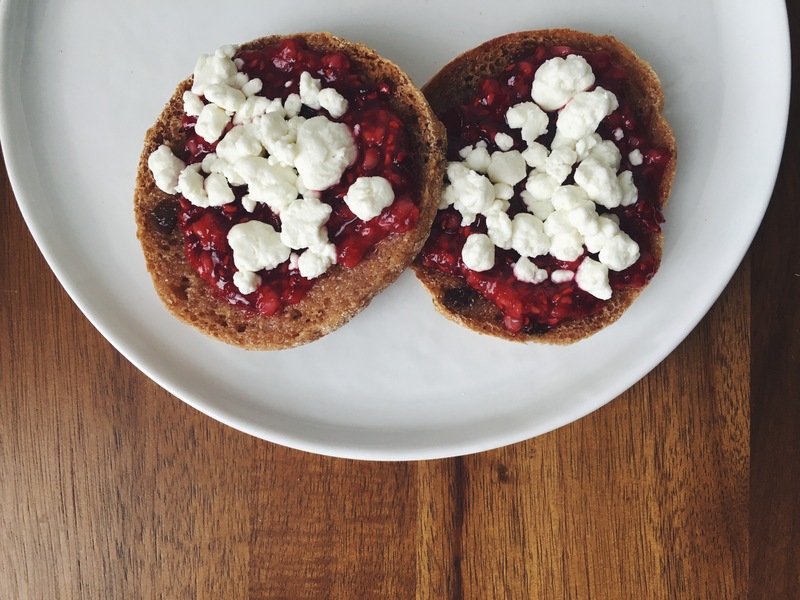 Assemble your muffin with a spoonful of raspberry bliss and crumbled goat cheese, YES! Don’t forget to pour yourself a cup of coffee or tea. Happy Tuesday to yoouu!